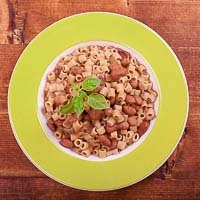 The memorable South Italian pasta e fagioli (beans) said pasta fazool. 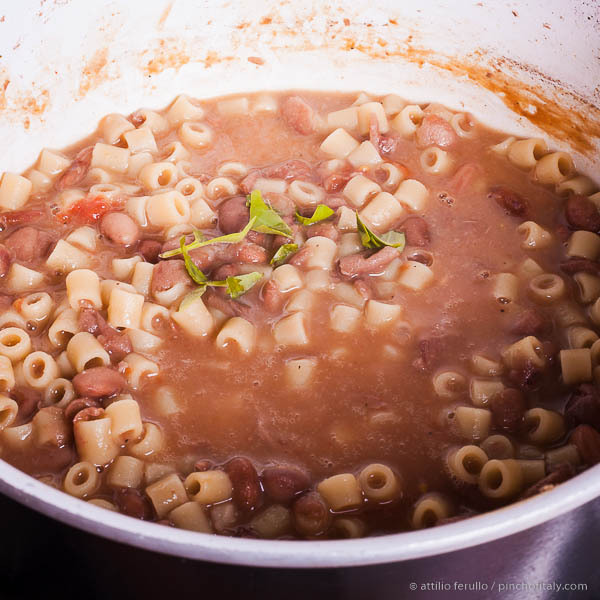 Pasta fazool (pasta and beans soup) is one of the most traditional Italian recipes, being widespread and popular in many areas of Italy. 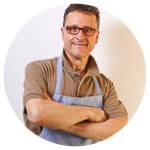 There are several variations to this recipe here in Italy and abroad too. 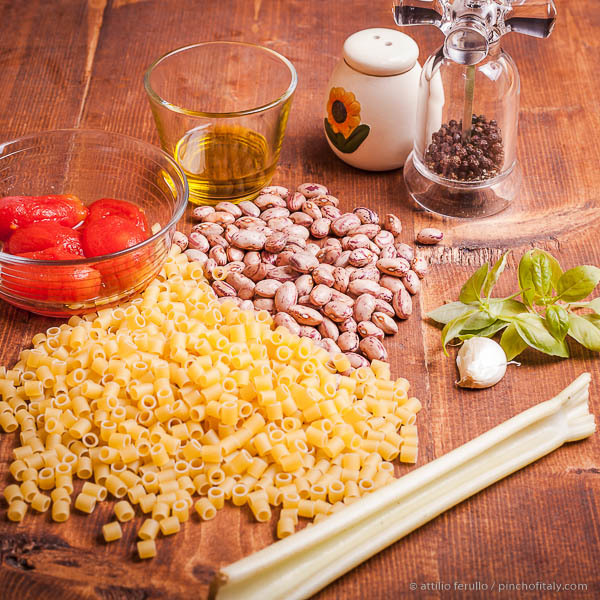 Due to its popularity, I can't say with certainty which is the homeland of pasta and beans as different regions claim to have the authentic original recipe. 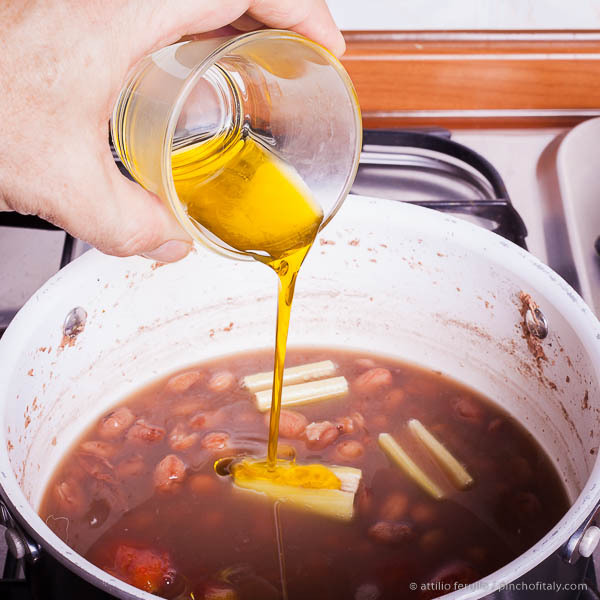 Soak the beans in about 2 quarts (2 lt.) of water for at least 6 hours better one whole night. Drain and rinse the beans and put them again in the same pot with new water. 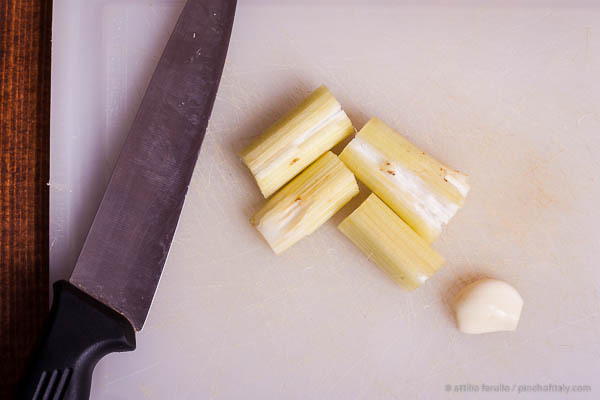 Cook for about 1 ½ hours and at half-cooking add the tomatoes, celery, garlic, olive oil and adjust with salt. Keep cooking at medium/low heat. Throw the pasta in about 8 minutes before the end. 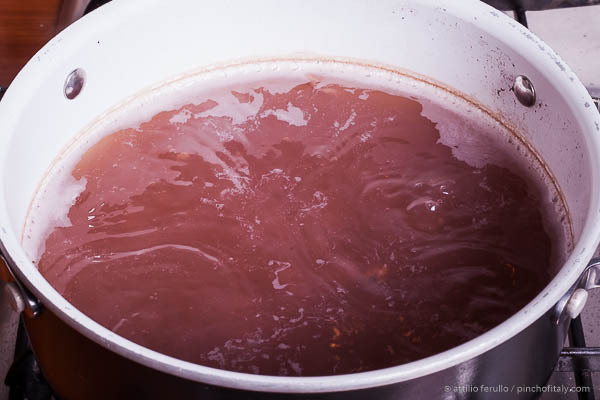 Give a final stir to mix all, and give an extra taste too. The pasta must still be "al dente". Before serving let it cool down just a little and add a few basil leaves and milled pepper if you like. Towards the end of cooking it might need the addition of ½ glass of water to keep it enough moist. 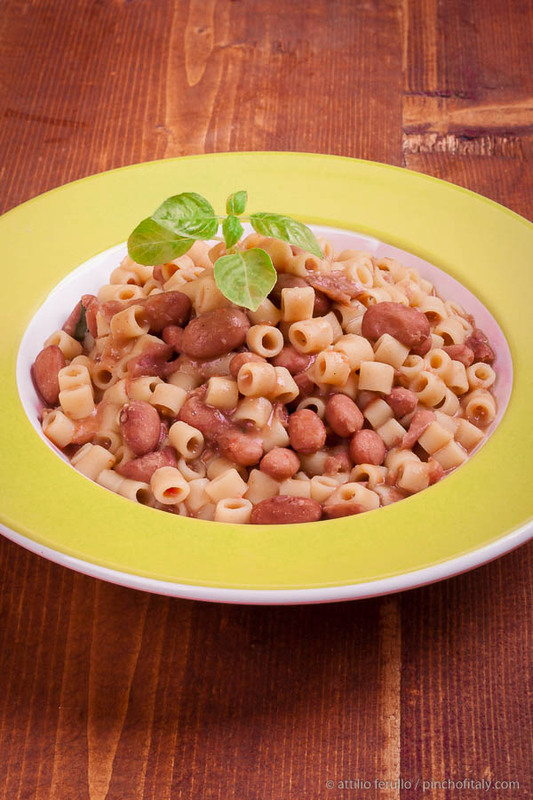 However, the recipe for “pasta e fagioli” was born in the taverns of ancient Rome as a poor food, but tasty and nutritious suitable to feed many and varied customers of the inns. In south Italy it’s called “pasta fazool”, and I can still remember my grandpa asking everyday for this dish, when I was staying at his home. 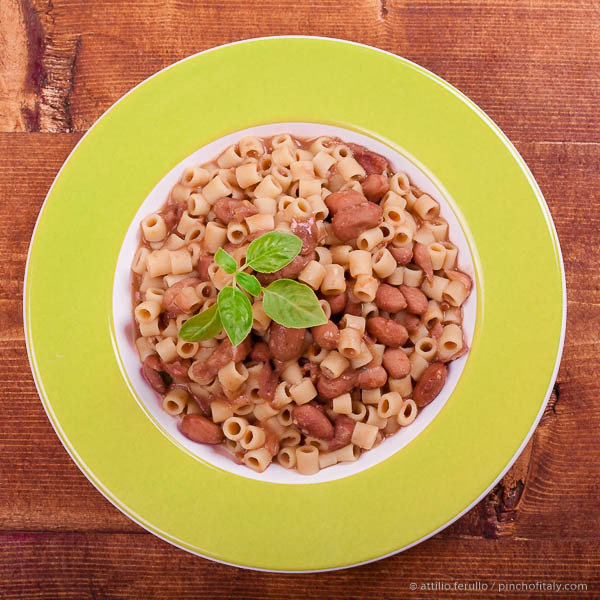 He used to say me when I was a child: “Mangia sano, mangia pasta e fazool” (eat healthy, eat pasta and beans). I was I child then, and couldn't understand why ever he wanted the same boring taste of pasta and beans everyday, at least that was my opinion back then. 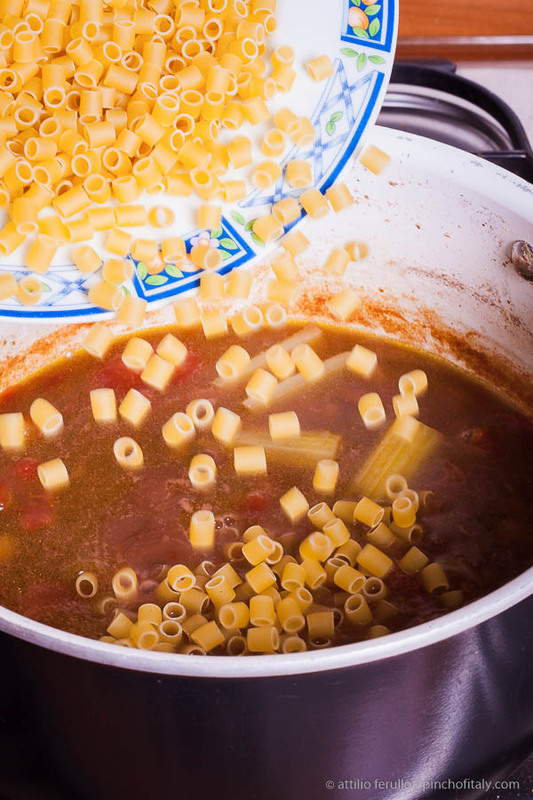 I had to become a man before I could appreciate “pasta e fagioli”. A dish that every Italian knows about and make in various ways. Each region has at least two or more ways to cook pasta and beans, and today I made the real southern Italian style of pasta fazool, as my grandpa from south Italy used to eat everyday. I preferred to use dried “Borlotti” beans but “Cannellini” beans go equally well and indeed the authentic recipe call more for the latter. The pasta shape is “Ditalini” which honestly I will never change with another type of pasta, the combination is too perfect. 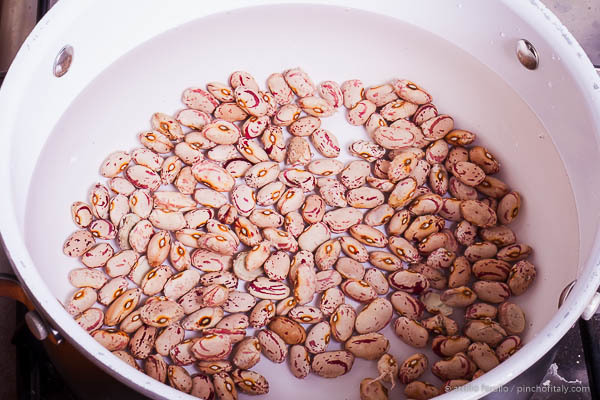 The first thing to do if you are using dried beans is to soak them in about 2 quarts (2 lt.) of water for at least 6 hours or even for a whole night. 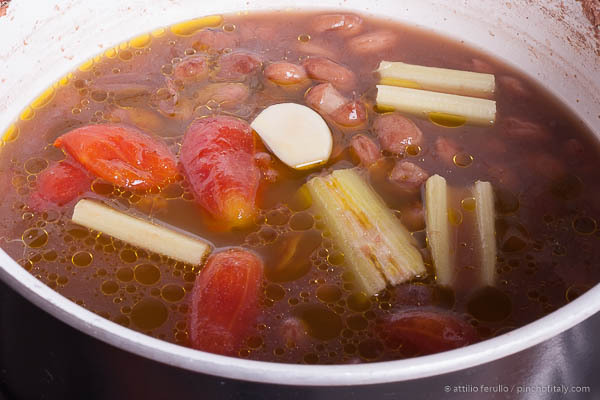 It will take about 1 ½ hours at low heat to cook the beans, just remember to stir occasionally. Take and cut into pieces a stalk of celery with a garlic and if you like you can throw in a carrot too. At half cooking add the plum tomatoes, the celery, the garlic and of course some salt. But consider that they can be added at the beginning too as better turns out. Pour in the extra virgin olive oil too. 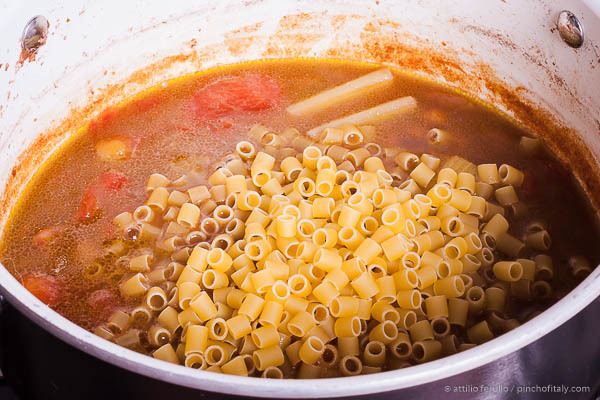 No doubt that ditalini is the pasta of choice for this recipe. 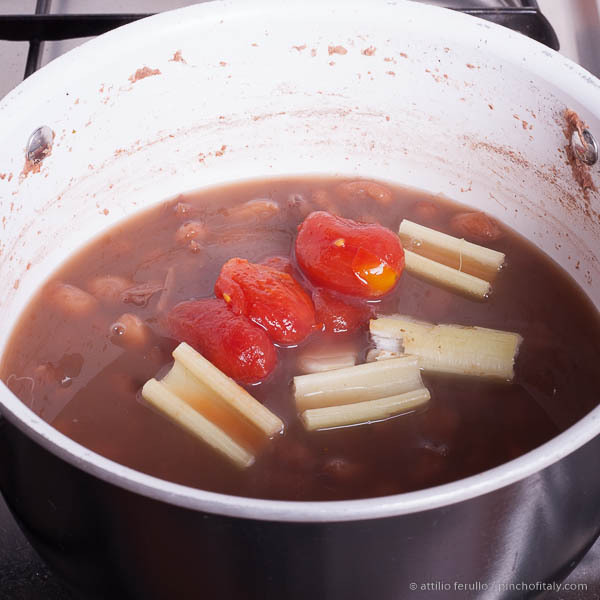 Throw in pasta at the end and cook until “al dente” but keep pasta e fagioli moisten enough, if necessary add an half glass of water and/or cover with a lid. Finally this is how it looks creamy NOT sloppy and I reassure you the taste is more than good. If it remains a few pieces of tomatoes and/or celery go through a food mill and add some bites of basil leaves too.